You’ve probably been hearing about recycling since you were in school, and recently it seems to be everywhere. How much do you really know about recycling, though? If you had it explained to you when you were young, it might have been simplified into “plastic is bad for the earth” or even “no, that rubbish goes in the green bin, not the black bin”. It’s easier to embrace a practice such as recycling if you know more about it, so here is some information to help. To recycle something is to reuse it. This usually (but not always) means using the item for something other than its original purpose or function. For example, using a pickle jar as a piggy bank is recycling that jar. Some people like to use the term “upcycling” when they repurpose items in this way. Recycling is not always so straightforward though. Other materials, like paper, plastic and glass, can be processed so that they can be remade into new items. 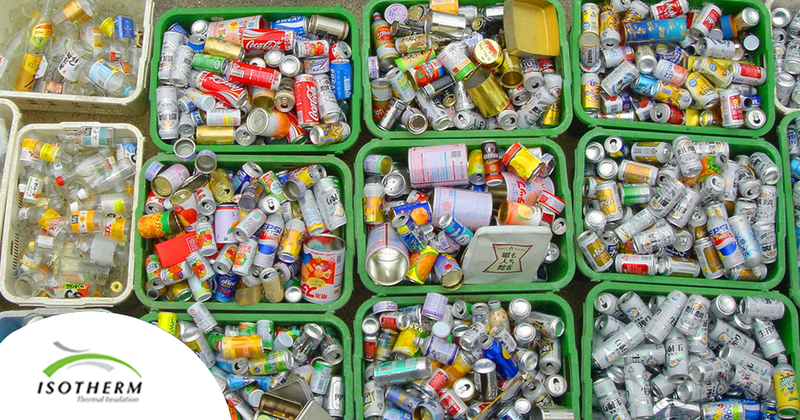 1.Recovery: separating recyclable materials from non-recyclable materials, and sorting them according to their properties. 2.Separating and cleaning the materials: this is done at recycling centres to make sure extra materials like food or dirt don’t get mixed into the materials in the following stages. 3.Processing: the recyclable material is processed into a raw state, such as melting down plastic or glass. 4.Remaking items: new items are made from the reprocessed material to be used and sold. The objective of recycling is two-fold; to extend the lifespan of materials by converting waste into usable materials, and to reduce the impact on the environment that is caused by waste and manufacturing processes. You are most likely familiar with the basics when separating your recyclables – paper, plastic, glass and metal. It may surprise you, then, to learn that not all items included in the above are recyclable. For example, serviettes, tissues and toilet paper cannot be recycled (although the cardboard inners and boxes can be). Likewise, plastics such as chip packets, Tupperware, sticky tape and cling wrap are not recyclable, and neither is porcelain, china, ceramics, cooking ware, mirrors, drinking glasses or clay pots. Electronic parts are mostly recyclable, and are known as E-waste. Ink cartridges from your printer or copier can be recycled, and so can light bulbs and batteries. These require more extensive processing since they contain a variety of materials. For a comprehensive list of what can and can’t be recycled, take a look at Greenworks’ recycling checklist1. As well as store-bought products, did you know that air and water are recyclable too? The oxygen that we breathe in is “recycled” into carbon dioxide, which is in turn “recycled” back into oxygen by plants. Water is recycled naturally as it goes through the stages of precipitation and evaporation, and artificially when it is purified. If you are no longer satisfied with the automatic response that “waste is bad for the planet”, here are some pointers on how it is bad and how recycling is beneficial. Recycling reduces the use of and demand for landfill sites. Waste is dumped at landfill sites. These landfills take up more and more space every year as the waste increases. Space is being lost that could be used for homes, buildings and farms. Toxic substances from the waste leak into the ground and pose health risks to all surrounding plants and animals. If the toxins reach a water source, the risks will spread even further. Waste is often burnt to make space at landfills. The smoke is loaded with carbon monoxide and other toxic substances that damage the atmosphere. Additionally, this leads to breathing and lung problems in people living nearby. Natural resources like plants, minerals and water are needed to manufacture a lot of products, so by recycling products, we are reducing the demand for new products to be manufactured. Energy and power is used when manufacturing new products. Recycling reduces water and air pollution. Producing items from natural resources can cause wasteful by-products that contribute to landfill sites. During manufacturing processes, steam and smoke are also usually produced, causing more damage to the atmosphere. Run-off from large factories can infect nearby water sources. Recycled materials are often cheaper to use than virgin materials. Less waste means less waste disposal costs. This includes the work done by garbage collectors, landfill workers, and many more. Recycling is done locally, whereas waste disposal often requires the waste to be transported far distances, even outside the country. Transport, import and export costs are greatly reduced by recycling. Recycling creates formal and informal jobs. Next time you are faced with the choice of whether to recycle or not, you’ll be able to make an informed decision.